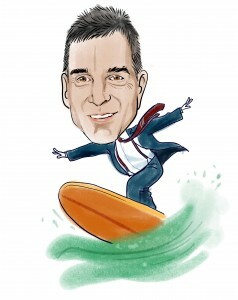 Billionaire Dan Loeb Upped His Yahoo Stake, Again! Yahoo (NASDAQ:YHOO) is starting to give its investors some hope. The former content emperor of the internet has recently made moves to recapture its former kingdom. The kingdom has been recharted, though, as Yahoo gave the nod to former Google (NASDAQ:GOOG) advertising exec Marissa Mayer to be the new CEO. Dan Loeb’s Third Point Management held 70 million shares of Yahoo as of March 31, making it the largest institutional investor at 5.77 percent ownership (Loeb’s portfolio is available here). Between July 20 and 23, only a week after Mayer took the reigns, Loeb increased his total position to Yahoo to 73 million shares. He purchased 2.5 million shares at an average $15.77 a share between these two dates and, combined with other purchases in May, now has a 5.98 percent stake in the company. Obviously, insiders–those who are directors, officers, or holders of more than 5 percent of company stock–have a special capacity to catalyze change in an organization. Interestingly, Insider picks also tend to outperform the market. With a company like Yahoo, pressure from a top insider like Loeb is the likely catalyst for a number of changes, and with the pessimistic sentiment surrounding Yahoo, it presents an opportunity for a contrarian investor. Billionaire hedge fund managers Ken Griffin, Louis Bacon, and Israel Englander are also among Yahoo shareholders (see Ken Griffin’s top stock picks). Year-over-year display advertising increased 1 percent according to Yahoo’s second quarter earnings report released last week, reversing the recent trend of declines in display advertising revenue. I have noted elsewhere that the post-PC era is not merely a hardware phenomenon. People use programs and access websites on these mobile tablets and handheld devices, and advertisements need to fit beside the frantic stream of information. Some websites were designed for PCs: Facebook (NASDAQ:FB), Yahoo, and AOL (NYSE:AOL). Tech investor and hedge fund manager Phillipe Laffont commented on this in an interesting recent interview. Let’s take a look at one part of Yahoo’s post-PC response: Axis. In summary, Axis is an applet search interface that allows users to centrally access and explore search results without leaving the Axis interface. First, the fact that this product exists and has been launched is a step in the right direction. It is in line with Yahoo!’s “ancient” commitment to aid its users in accessing the internet information in a rational, organized fashion. Second, this interface is not a browser, and thank goodness for that. Between Chrome, Firefox, and Microsoft’s (NASDAQ:MSFT) Internet Explorer, there are excellent browsers already available. Axis is an applet that, in my experience, runs smoothly on Chrome. Furthermore, it gives users clear visual displays of search results and allows them to scroll through them via the applet mainframe without clicking “back” multiple times. Finally, this product fills a demonstrable need both for internet users and for Yahoo. Yahoo’s second quarter search engine ad revenue was up 4 percent, and this area stands to be its greatest source of growth. With the veritable deluge of bookmark organizers, search engine bars, and browsing history lists, the idea that Axis could be the “great consolidator” of this information would be attractive for many avid internet browsers (me included). Did I mention that this is a post-PC product? There are tablet and handheld versions of Axis as well. Yahoo has relied on partnerships in the past for its news content, and the company is making meaningful advertising partnerships. In July, Facebook and Yahoo both made nice after several patent skirmishes, re-initiating their (highly beneficial) content and advertising partnership. Yahoo has, additionally, launched Genome, an advertising platform that targets content to users in much the same way that Google’s AdSense does. By targeting ads according to a user’s click history and third-party data, Yahoo should be able to realize more advertising click-throughs. Yahoo is trading at less than 20 times earnings–about normal for a maturing tech company. Facebook is trading at over 60 times earnings. Looking at both of these companies, I don’t think the premium for Facebook shares is justified relative to Yahoo shares–both websites fundamentally derive earnings via ad revenue, despite their different interfaces. Assuming Mayer’s execution of a comprehensive advertising solution for the company, Yahoo is positioned to see growth rivaling that of Facebook (remember that Yahoo used to have a market cap of over $100 billion at the turn of the millennium). So I see Loeb’s point in upping the stake, particularly if a product like Axis becomes part of “daily internet life” in the way that Facebook is. So the takeaway: Loeb’s insider bet at Yahoo is an interesting investment idea assuming that management and directorship shakeups, versatile application releases, and synergistic partnerships yield increased advertising revenue. Disclosure: Brian Tracz owns shares in Google and Microsoft.